The Royal Mint exists primarily to manufacture, or mint, coins in the UK. The Royal Mint is also the world’s leading exporter of mint coins, and manufactures and circulates coins for over 60 other countries. In addition to manufacturing mint coins, they are responsible for producing coin blanks and official military and commemorative medals. The Mint originated over 1,100 years ago and has an exclusive contract with HM Treasury to supply all UK coinage. Here at BullionByPost, we are a Royal Mint authorised distributor and stock a comprehensive range of gold mint coins including Royal Mint bullion coins ideal for investment; all available at very low margins. 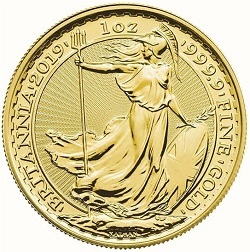 Produced by the Royal Mint, these British gold coins include the Britannia coins, gold sovereign and half sovereign, one pound gold coin, two pound gold coin and five pound gold coin. All of these British gold bullion coins are highly attractive to UK investors due to their status as British Legal Tender. As well as gold coins representing greater flexibility to investors than other types of gold bullion, British gold coins offer the ultimate value for investment in gold bullion as they are both VAT free and Capital Gains Tax (CGT) free. At BullionByPost we offer a comprehensive collection of Royal Mint coins ideal for gold bullion investment at reduced margins. Click here to register your free online account today. Tax and can now be purchased VAT free. using the Great British national symbol Britannia making its first appearance on British coinage in 1672.
itself is heavier as it contains 95.8% silver. View our range of official Royal Mint Britannia silver coins and Britannia gold coins. The Sovereign coin was first minted in 1817 and is perhaps the best known British gold bullion coin. have also been used during the reigns of William IV, Victoria, George IV, and Elizabeth II. View our range of official Royal Mint struck gold sovereign coins and half sovereign coins. The two pound gold coin was released in 1820 by the Royal Mint and is still sometimes referred to as a Double Sovereign. The gold two pound coin was an occasional feature of British currency from 1823 until 1996 and has been minted each year since 1997. The coin weighs 15.98 grams and as it is 91.67% gold (22 carat), it contains 14.63 grams of fine gold. The design tends to mirror that of the gold sovereign, so that the reverse usually features Benedetto Pistrucci’s magnificent rendition of Saint George slaying the dragon. Due to their status as British Legal Tender, the two pound gold coin is a popular investment option for investors in United Kingdom and is VAT and Capital Gains Tax free. and often considered the most impressive, of British gold coins. 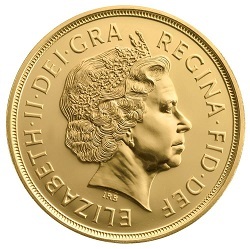 £5 gold coin weighs 39.94 grams and is a 22ct gold coin containing 36.6117 grams of fine gold. 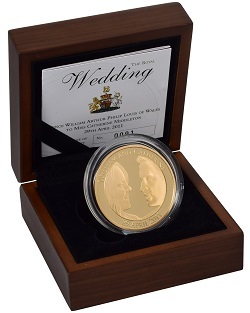 We stock a great range of British bullion gold coins manufactured by the Royal Mint. Buying British 22ct gold coins is a popular and often favoured method of investing in physical gold bullion among UK investors. Due to their status as British Legal Tender, investors who sell their gold coins and realise large profits do not have to pay Capital Gains Tax (CGT). This saving is of particular interest to larger gold investors who could potentially make savings of thousands of pounds when looking to sell gold coins. This benefit makes British gold coins a much more attractive investment than gold bars and other non-British minted coins such as the South African Krugerrand and the Canadian Maple to name two. All orders of any size and value include free fully insured next day delivery with no hidden costs. In addition to uncirculated British gold coins, the Royal Mint manufactures proof coins. A Proof coin is a coin that was struck using a special labour intensive, high-quality minting process. Proof coins are made solely for the purpose of being collectable and hold value both for their intrinsic fine gold content and as a collectable. 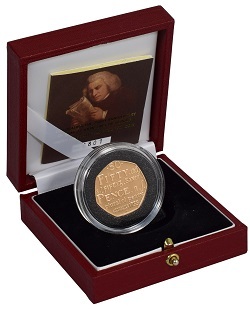 Modern day proof coins have mirror-like fields and frosted devices, although proofs struck before the mid twentieth century are often distinguished by their high quality surfaces. Proof coins should never be seen in circulation due to their quality and are struck in an entirely different part of the mint. We are a Royal Mint authorised distributor and stock a wide range of gold proof coins and sets, uncirculated coin sets and limited edition gold mint coins available at very low margins. 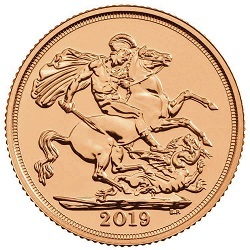 We have a number of great looking Royal Mint gold proofs, uncirculated and special coin sets in stock, featuring a range of years and coins, including proof sovereign coins and proof Britannia coins. All proof mint coins and proof mint coin sets come in official Royal Mint branded presentation boxes and contain a certificate of authenticity containing the date of release. Mint. The first issue was to commemorate the wedding of Prince Charles and Lady Diana. authenticity and are available in a variety of specific years including 1992, 1997, 2003 and 2007. View our full range of proof £5 coins now. We stock Royal Mint gold Britannia coin proof four coin sets boxed and with a Certificate of Authenticity. The stunning Britannia set is typically limited edition, with only 1,000 usually made, and contains four gold coins: one ounce, half ounce, quarter ounce and a tenth ounce coin. We also stock a mixed year proof Britannia gold collection available in variety of mixed years between 1987 and 2005 which comes in a Royal Mint presentation box and certificate of authenticity. Specific year gold proof sovereign are very popular minted coins and are available in a variety of years between 1980 and 2006. As well as the proof sovereign coin we hold a variety of gold proof sovereign sets. The beautiful 4 coin gold proof sovereign sets features a proof quintuple-sovereign (five-pound coin), double-sovereign (two-pound coin), sovereign and half-sovereign. Complete with its own certificate of authenticity and packaged in a good-looking light red or green leather case depending on year of release which ranges between 1980 and 1991. These four gold sovereigns contain the classic design by Benedetto Pistrucci with a portrait of Queen Elizabeth II on the obverse. This Royal Mint proof set is also available as a 3 coin gold proof sovereign sets featuring a Double Sovereign (£2 coin), Sovereign and Half Sovereign gold coins. Gold proof fifty pence piece coins are another way to own a piece of beautiful Royal Mint coinage. proof coins and proof coin sets. committed to offering very competitive margins and pride ourselves on our unrivalled customer service. Read our customer reviews and find out what our customers have to say about us on eKomi, a 100% independent, third-party customer feedback website.